Seeing a movie like We Bought a Zoo there is two very predictable things about the plot, that you can assume before going in, without so much as reading a single review. 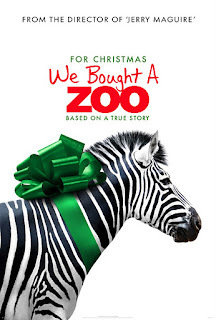 Right away, just from the title, you know the main characters are going to be buying a zoo. No matter what happens in the lead up to that moment, you pretty much already know they're going to buy. 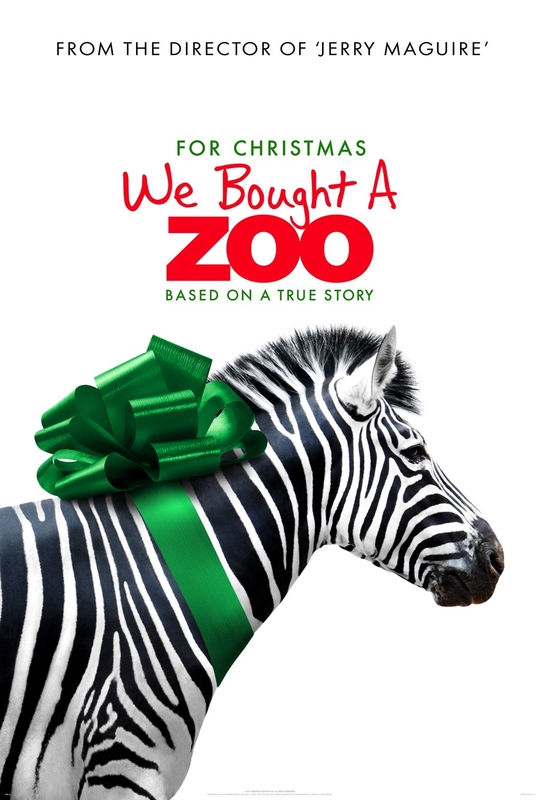 The film is based on a true story which immediately suggests these people didn't buy a zoo and then fail. No one wants to see a movie where they fail to make the zoo work. There probably isn't a filmmaker that would make this film if it wasn't an inspirational story of success. It's one of those films that you really do watch for the journey and not how it ends. It's also a chance to see Matt Damon play a some what naive but optimistic single dad to two slightly challenging young children rather than an action hero. I think he does a pretty good job at it. He doesn't quite get you believing he's a real battler - because you already know his character succeeds - but he does pull you into the characters emotional journey and keeps you invested in finding out how he succeeds. As you'd expect the zoo comes with a bunch of colourful and quirky staff members who fill out the rest of the story with supporting sub plots, some humorous and others more in-depth and tugging at the heart strings. Some of the animals get their moments on screen too. Of course, every film needs a villain. In this movie it's the Zoo Inspector with his extremely intimidating, powered, roll out tape measure (when I first saw that tape measure I couldn't believe you can really buy such a thing). Although the Zoo Inspector (played by John Michael Higgins) does an excellent job of being intimidating and unlikable the character's attitude seems a little unlikely. This guy seemed to want the zoo to fail despite what that might mean for all the animals. I could understand a strict Zoo Inspector but ultimately I'd expect a person in that position to be more helpful and going out of their way to help get the Zoo up to scratch. As always, this isn't so much a review of the movie as a few thoughts I had about the movie after seeing it. Follow the link above to the Internet Movie Database where I'm sure you'll find some user reviews. I enjoyed it as a film but it's not one of those films I'd rush out and buy the DVD. If the story does inspire you then you might go out and buy the book or research which zoo the story is based upon. Overall, it's a pleasant journey. Not too challenging and you should be happy with the end result.